You can browse the contents of this website without telling us who you are and without revealing any personal information. The only information we collect and store during normal website usage is the name of your Internet service provider, the website which referred you to us, the pages you request, and the date and time of those requests. We use this information to generate statistics and measure site activity to improve the usefulness of customer visits. During normal website usage, we do not collect or store personally identifiable information such as name, mailing address, e-mail address, phone number company name, etc. If you do not clear the history on your browser, we can count how many times you visit the site. You may decide to send us personally-identifying information, for example, in a message containing comments about this website or to sign up for recurring newsletters or promotions. We will only use this information to identify the user. We will not use it in any way other than to resolve the matter identified in the e-mail. You expressly agree that the use of this site and/or our social media pages is at your own risk. Neither this company nor its officers, directors, employees, agents, affiliates nor any person involved in creating, producing or distributing the site warrant that the site will be uninterrupted or error free, nor do they make any warranty as to the results that may be obtained from the use of the site or to the accuracy or currency of the information. The site contents are provided “as is” and without warranties of any kind either express or implied to the fullest extent permissible pursuant to applicable law. If you submit posts to our social media, we can use your images for our own posts without credit or payment. If you tag us in a post, we can use your post for our own promotion. Photos are used on our website and social media pages, to help market our business. If you interact with this company, you may be in group photos we share on our social media sites or our website. If you do business with us, we may ask for permission to use your testimonial or personal photo. Children will need a parent’s approval for photos and videos to be posted online. We will not use your name unless you have given us permission. Your privacy is important to us. If you have agreed to participate in a testimonial photo or video submission, you are agreeing to your submission being posted on our website or social media pages. We do not accept responsibility for actions taken by others with photos/videos they have taken but we ask that everyone make an effort to respect each others privacy. If you make purchases on our website, your information will only be used to complete your transaction. You may be added to our newsletter. If you do not want to receive our email news, you can opt-out. To unsubscribe just find the unsubscribe link at the bottom of the email. Our website is protected with an SSL certificate. 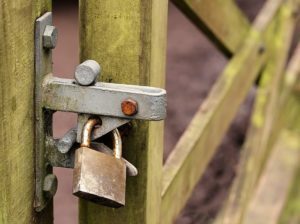 We respect your privacy and understand the importance of protecting your financial information. We will not give your information to any other organizations. 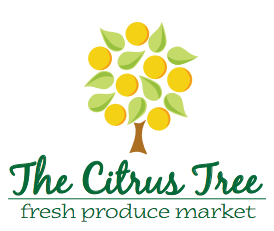 If you have any questions about this privacy acknowledgment send an email to contact@thecitrustree.com.